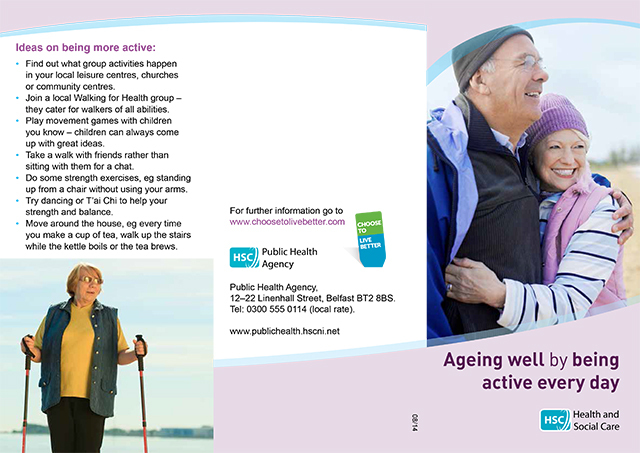 This leaflet provides guidance to older adults on the amount of physical activity they should be aiming for and the health benefits associated with staying active. It also offers tips and ideas on activities that older people may find useful and appropriate. The leaflet is aimed at older people of most physical capabilities.